The mission of The Preemie Project NICU Bedding Program is to create a comfortable, colorful environment for families with donations of soft colorful sheets. Initially, infants in the NICU are very critically ill. Most of the caregiving activities are performed by nursing staff. Often, the only caregiving act parents can perform for their child is to choose the sheets for their infant’s bed. Sew and donate flat sheets, fitted sheets, and fleece pads to help our NICU families create a homelike atmosphere in their baby’s hospital room. Cotton or flannel fabric may be used for sheets. Cotton fabrics are preferred because they will last three times longer than flannel. Please use cute baby prints or modern prints preferred by new moms for their nurseries. Bright, bold colors will stand up to the hospital harsh laundry best. See photo examples. If using flannel fabric, many reds and black patterns will bleed and are not recommended. 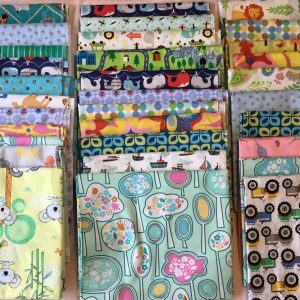 HOW DO I MAKE BEDDING FOR THE NICU? Just visit our NICU bedding page on this website for all the sewing instructions. You can also drop off your donation on the front step of the above address. Be sure to include your name, address and email.